Mumijo syrup with herbs. Dietary supplement. 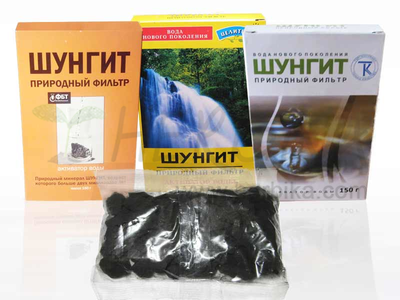 Mumijo is a natural complex containing large amounts of minerals, amino acids, steroids, phospholipids, vitamins and essential oils. 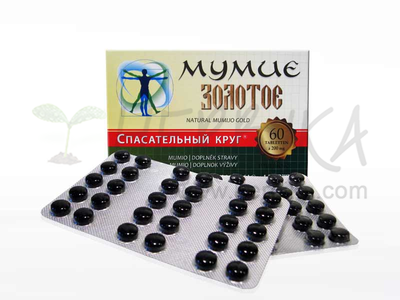 Mumijo is used as a tonic to replenish minerals including trace elements and vitamins. It supports hematopoiesis, immune system, has a beneficial effect on bone structure. 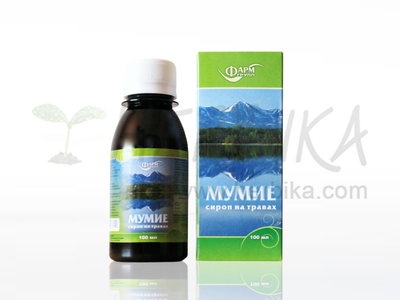 Mumijo is an adaptogen that helps to protect from harsh environments, including radiation. Vitamin C supports the immune and nervous system, stimulates metabolism, helps to reduce fatigue and exhaustion, and is a protective antioxidant. Burdock supports natural defenses of the organism, enhances excretory function, helps cleansing the blood, makes it easier to digest fats, has beneficial effect on joint function and quality of the skin. Nettle strengthens function of kidneys, joints and musculoskeletal system. It helps maintain a healthy heart and blood vessels, promotes vitality, as an antioxidant protects cells from damage. Purple Marshlocks (also called Marsh Cinquefoil – Comarum palustre) supports functioning and mobility of joints, helps during revitalization of cartilage tissue, contributes to detoxification of the body. 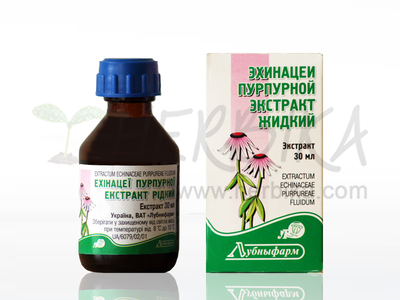 Elecampane (also called Horse heal – Inula helenium) helps remove harmful substances from the body, helps with digestion and excretory system. 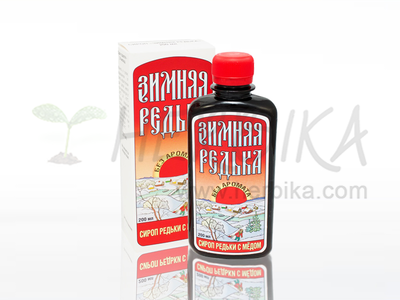 Ingredients: water, sucrose, ascorbic acid – vitamin C 16mg, Altai Mumijo 11mg, Burdock – root 10mg, 8mg Stinging Nettle, Marsh Cinquefoil 8mg, Elecampane 8mg, citric acid, sodium benzoate (preservative) in a daily dose of 10 mL. 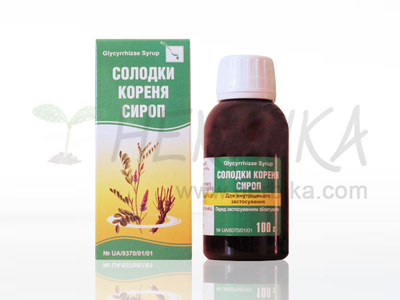 Dosage: 1 teaspoon (about 5ml) 2 – 3 times a day, may be mixed with tea or other liquid. Recommended duration of use: 2 to 3 weeks.